Ladder work platforms provide a stable platform to stand on for work or to add tools, paint or other materials to you whilst you work. 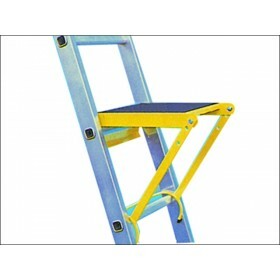 They give you a stable base to work from and work with most ladders. They are designed to provide stability, reduce fatigue and reduce the risk of energy.